Curtains are far too often an afterthought in the home decor world, forgotten until the rest of the room’s style has been determined. While you know you need them, they’re probably the last piece you’ll end up selecting, but they can actually be the key to creating a truly finished space. And, while we’re sure you love showing off your home to friends and family, that doesn’t mean you want your neighbors peeking in from outside. Selecting the right curtains can be a frustrating process (and hanging curtains is sometimes more challenging!). From finding the perfect size to selecting a style that works with the rest of your home, there are a lot of factors to consider before you hang them up. We’ve found the best places to find quality, affordable curtains for every room in your home. When it comes to curtains, Target offers the perfect combination of budget-friendly and style-forward. As with their furniture and home decor, Target’s curtains are invariably on-trend, giving you the look you want without a painful blow to your wallet. There are over 1,100 styles available, ranging from lacy sheers for maximum light to blackout curtains that are perfect for light sleepers. Target’s search features also make it easy to filter by pattern, material, and even decor style—organizing its offerings by aesthetics like farmhouse-inspired and bohemian. Most curtains also include free shipping on orders over $35, letting you stretch your money a little further. With as many stores as Target has, you also get the benefit of an easier return if needed. If you aren't quite sure what you are looking for — the slew of products Wayfair has will help steer you in the direction your space needs. They have a vast range of different styles, prices and functions, like waterproof outdoor curtains to sheer and flowy valances, to trend forward prints and colors. What we love best about this site is the customer images that show the curtains in real life so you get a sense of what they really look like in the home as opposed to what is in a studio shoot on site. 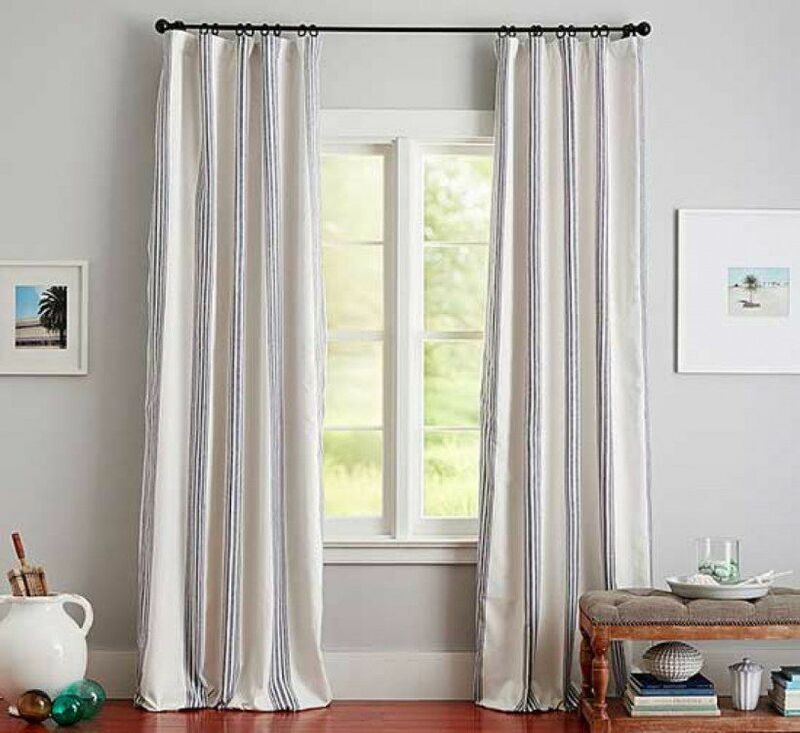 With Wayfair, you'll also get fast shipping and of course great prices, so its a smart place to start your curtain shopping experience if you want to see a wide range of options. Amazon is a go-to for all of your home decor needs, and curtains are no exception. Just searching “curtains” on Amazon brings you over 20,000 options to explore. From affordable blackout curtains for city dwellers to sheer panels perfect for a sunroom, you can find pretty much everything you need on Amazon. Plus, Amazon offers one of the most robust review networks online. This allows you to dig through a multitude of opinions and learn every pro and con before you buy. If you’re hunting for affordable curtains that you won’t feel guilty switching up when the seasons change, Amazon is a great choice. Want to save a pretty penny? JCPenney is a smart choice to shop for curtains at a steal of a price. While the selection leans more towards traditional — you'll find various types of style like sheers, thermal curtains, blackout curtains and more. With so many sales and deals that the store has its smart to wait for a big sale to purchase the curtains you have your eyes on for an even bigger discount. 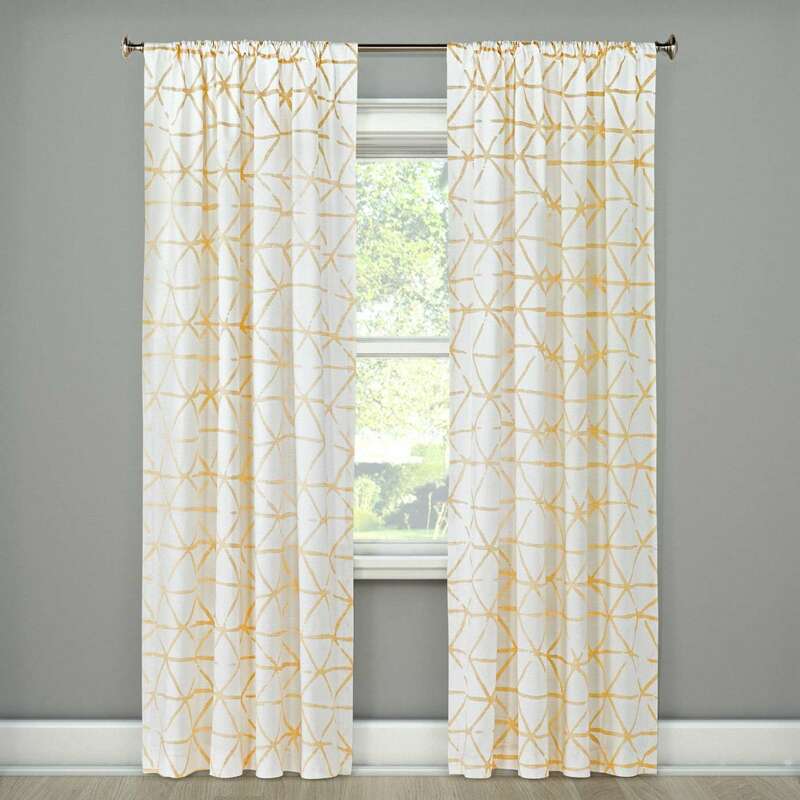 Many of the styles they have are exclusive to JCPenney so you won't find many of your favorites in competitors or your neighbor's house so shopping here might get you a pair of curtains that will have guests asking where you got them. If you haven't browsed the store or website in some years be sure to check them out — you'll be surprised at what they offer. If your taste runs along the farmhouse-inspired, shabby chic lines, Pottery Barn is the perfect place to bring your aesthetic vision to life. It’s high-end, but worth a bump in the budget. You will find options for materials like silk and Belgian flax linen that other stores may not offer. Most of the styles fall into the $100 range, but there’s often a wide selection of items on sale during any season. Pottery Barn’s curtains and drapery are both functional and stylish, letting you control the amount of light in a room while serving as a strong design element in their own right. It even offers made-to-order curtains for those hard-to-fit windows in your home. West Elm is a mainstay in on-trend decor options. Their selection of curtains is perfect for the home designer who wants something chic and modern. From cotton to linen to super trendy velvet, you can find a wide array of choices for every room in your house. Prices start around $50, but West Elm often has sales on their accessory pieces so it’s a good place to wait for a deal. You can shop in-store or online, making returns simple if your online purchase doesn’t work out. We love West Elm’s selection of patterned curtains for rooms that could use a statement piece, all of them modern and intricately designed. West Elm’s prices are middle of the range when it comes to home decor, but the craftsmanship is on par with higher end stores. Looking for a wide selection of curtains? Overstock has over 4,500 options for curtains and drapes, so we’re sure you can outfit every window in your home with a single purchase. Prices start at under $10 for a lightweight curtain (perfect for a kid’s room) to nearly $800 for an ornate, Italian-made drape that will make your home feel like a royal estate. You can search by price, length, and level of light filtration. It even allows you to choose specific features like sound reduction or thermal insulation. Overstock also provides endless, easy-to-read reviews to help you make an informed decision. It offers a robust rewards program you can enroll in to save money on future purchases as well. Before you order, be sure to measure correctly to avoid return shipping fees. They do make this easier thanks to a nifty guide that will help you get the right size.